One of Outlaw's greatest priorities is making sure our customers can keep sensitive contract information private and secure. 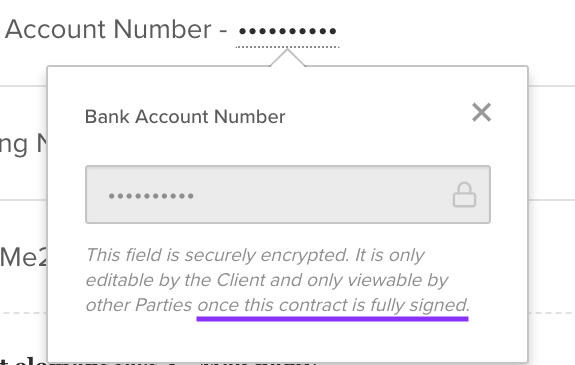 That's why we rolled out "Secrets" - a special type of dynamic fill-able field that can be added to a contract template to encrypt sensitive information. Keep private information private, until your agreement has been signed by all parties. We certainly hope that all of your deals close quickly and painlessly. But we know from experience that sometimes deals fall through, or get put on ice for a period of time. When this happens, Secrets make sure that sensitive information provided during negotiation doesn't end up in the hands of people you ultimately aren't in business with. And even when a deal does go through, on the way to completion it may pass by a good number of people, none of whom need to know your bank account number! Secrets create a layer of protection around this data by ensuring that anyone who reviews a contract only sees this information in encrypted form (appearing as a series of dots), so your private stuff says private. 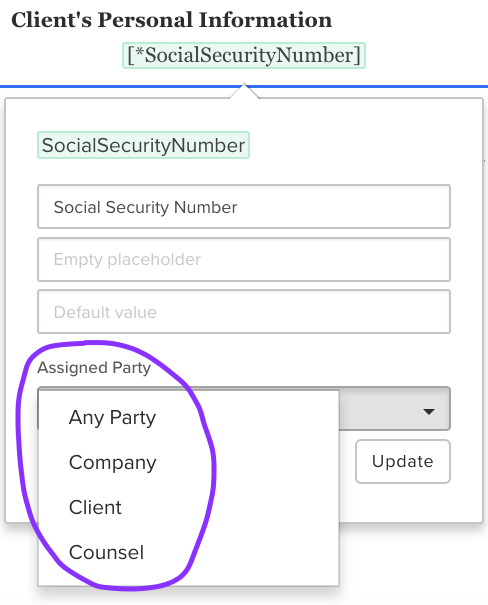 Several types of dynamic fillable fields called "elements" can be added to a contract template on Outlaw, and Secrets are a special type of element designed for filling in sensitive informative. 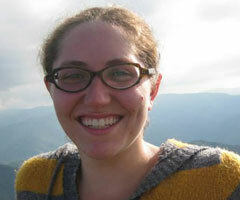 When an element is set up as a Secret, the platform knows to encrypt whatever information gets filled in there. Because of this, an important part of setting up a Secret is designating who (which party) will fill in this information during contract drafting. This is done by "assigning" the Secret element to be completed by a specific party, and you can learn more about assigning here. After everyone has signed the agreement, people on the deal can view the contents of Secret information, but only on the platform; any PDF copies of the document which may be subsequently shared or printed out continue to display as encrypted—cuz if someone doesn't need to know your credit card number, they don't need to see it either! What info should you keep Secret? 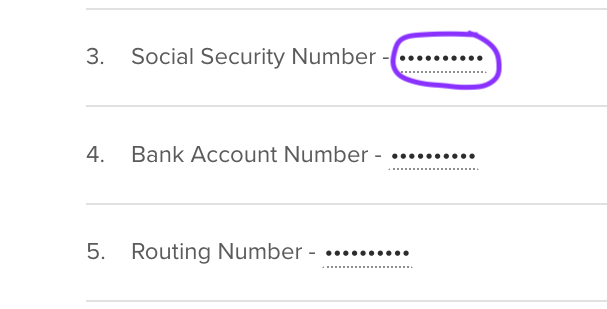 Of course some information like bank account and credit/debit card numbers just make intuitive sense to want to keep private. But there are other great applications for Secrets beyond the obvious. Identifying information such as Social Security Numbers, license plate numbers, and other such data may be best kept private, and some users may even prefer things like physical addresses to not be widely-known. It's up to you whether to unleash the potential of Secrets; but don't forget about this powerful tool, which makes sure that access to your personal and banking information is on a strictly need-to-know basis. Contracts can include some stuff that really shouldn't be out there for all to see, so remember when evaluating contract management solutions: Outlaw really knows how to keep a Secret!